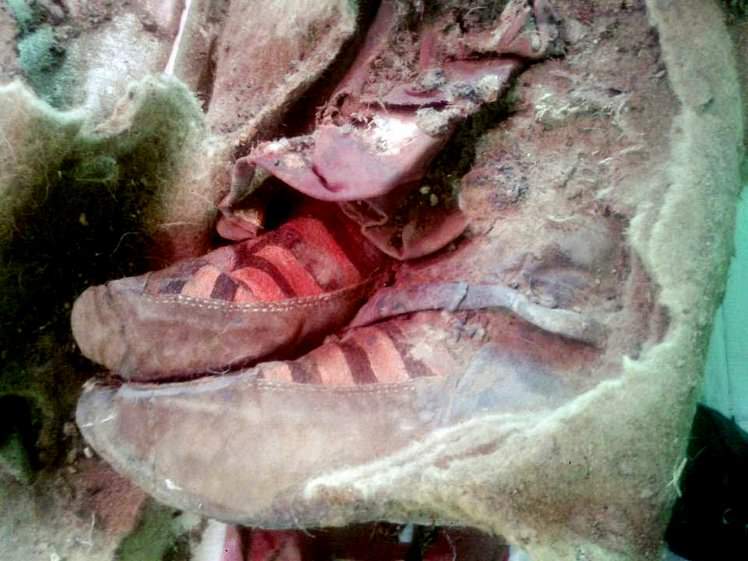 Ancient Mummy Found Wearing Adidas Trainers.. Does This Confirm Time Travel? Home Life Ancient Mummy Found Wearing Adidas Trainers.. Does This Confirm Time Travel? Here we have a case of the age-old question, does time travel really exist? However, this time there might really be a conclusive answer as there has been a discovery of a 1,500-year-old mummy wearing some pretty fashionable Adidas trainers, which either makes her super ahead of fashion or makes the whole case a little fishy. 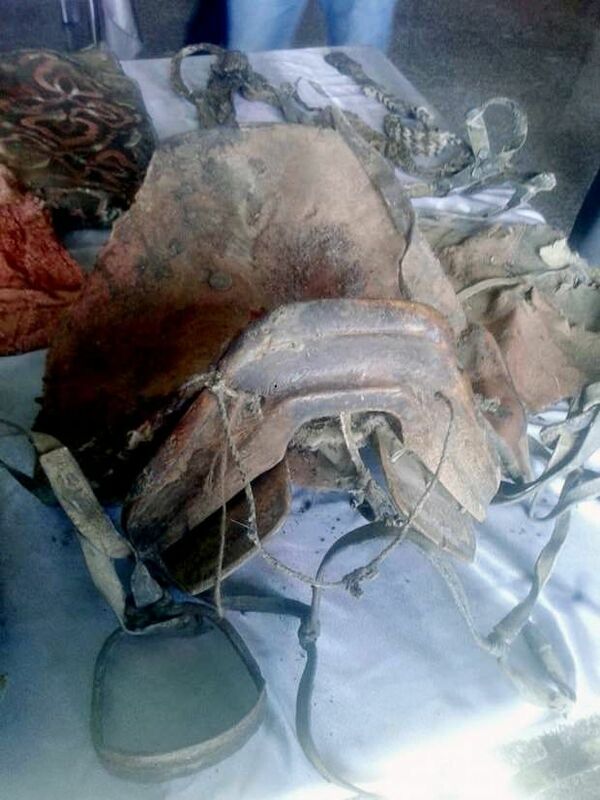 10,000 Feet high in the Mongolia’s Altai Mountains is where the mummy was found, which has now been identified to having been a female. There are only partial remains of this women including her hands and feet, which are rocking the Adidas sportswear shoes. But this is where the all important question needs to be answered, why is a 1,500-year-old mummy wearing Adidas footwear, how is that even possible? Experts have not attempted to give an informative answer as to how this is possible, but while they are staying quiet social media is getting louder with many people pointing towards to only explanation being time travel. 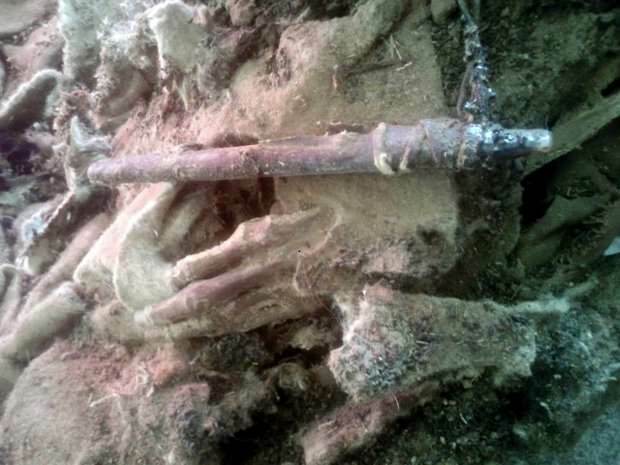 A researcher named B. Sukhbaatar from the Khovd Museum said, ‘This person was not from elite, and we believe it was likely a woman because there is no bow in the tomb, now we are carefully unwrapping the body and once this is complete the specialists will be able to say more precisely about the gender. The grave was three metres deep. The finds show us that these people were very skilled craftsmen,’. The mummy was also buried with a sacrificed horse and other items such as a wooden bowl, saddles for the horse and of course the sporty footwear. But given the lack of explanation, and lack of the rest of this mummy’s body it is hard to have a definitive answer. One thing is for sure, is that we can guarantee either this woman was the original idea behind Adidas and got there so early before the three stripe logo was created or she is in a pair of the Adidas shoes and this is evidence of time travel itself. What do you think? Could this be the start to some big questions that need to be answered or is this just a coincidence. Previous articleWhen You See These 15 Things About Spice Girls You’ll Remember How Much You Loved Them! Next articleMan Supersizes His Dog and These Results Are So Incredibly Funny You’ll Want a Giant Dog! Sometimes it's hard to get it right all the time. Here are ten of the best examples which show how people failed hard at the one thing they HAD to get right. 15 Hilarious Tumblr Posts That Escalated Way Too Quickly – #9 Is So You! Posts that start off simple, but get way way out of hand! How Many Of These 11 Facts Did You Know About Cara Delevingne? These 14 Kids Are Crying For The Most Stupid And Ridiculous Reasons – You Won’t Believe #3! Once you've had a look at just a few of these photos, it'll be almost impossible to deny the fact that these kids are crying for the most stupid and ridiculous reasons.